Address: 623 East Main St. There's really nothing like Capital Ale House anywhere in Richmond. What's perhaps the most impressive thing about CAH is that it comes from a practically beer barren part of the country (excluding Legend Brewer's), at least at the time, and now almost 10 years later, it is a thing of legend. 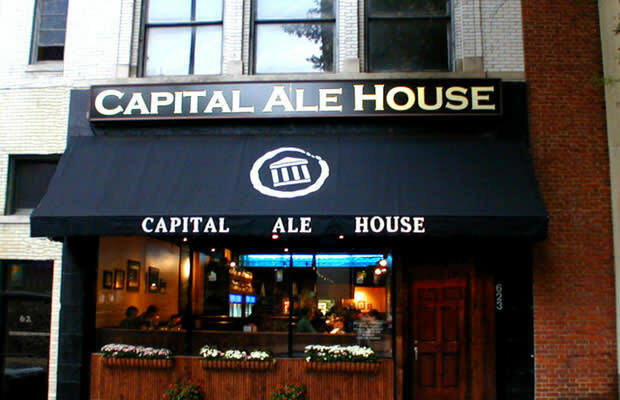 Capital is one of the forefathers of the really deep list, with 3 or 4 times as many bottles as are offered at their upstairs and downstairs game room bar's combined. Add to that a steller beer garden, a stage for music on the second floor, and a food menu you wouldn't mind calling your dinner. That's beautiful math.